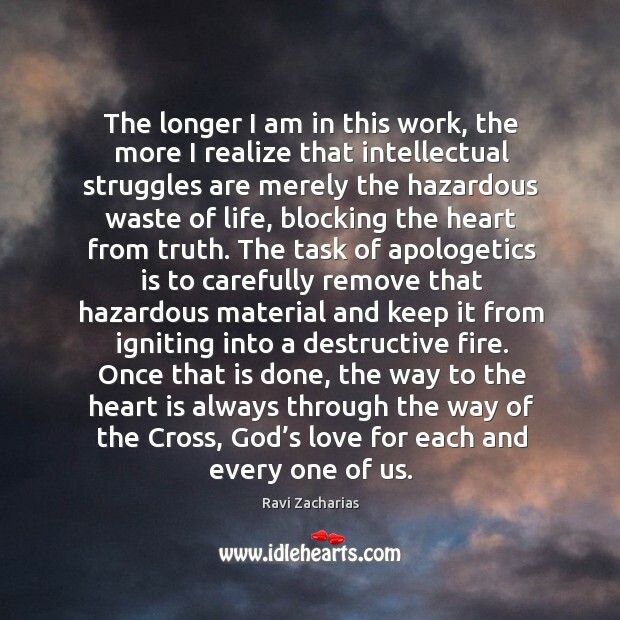 Quotations about Apologetics. Quotes to stimulate mind and drive action! Use the words and quote images to feed your brain inspiring things daily! 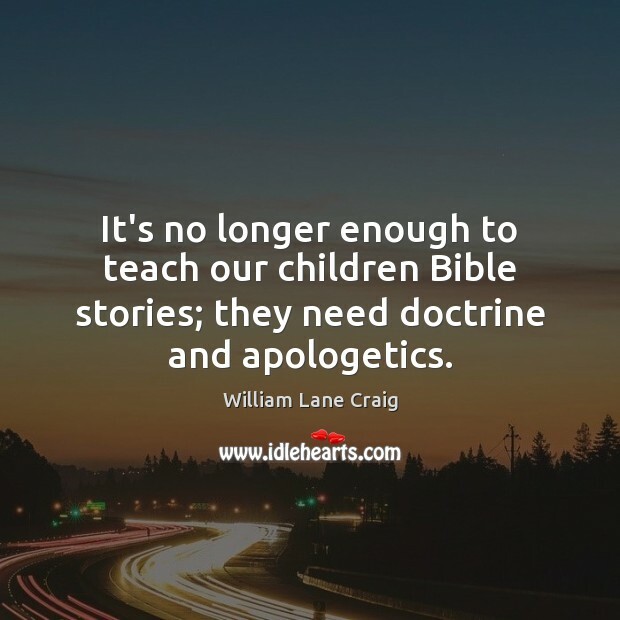 It's no longer enough to teach our children Bible stories; they need doctrine and apologetics. 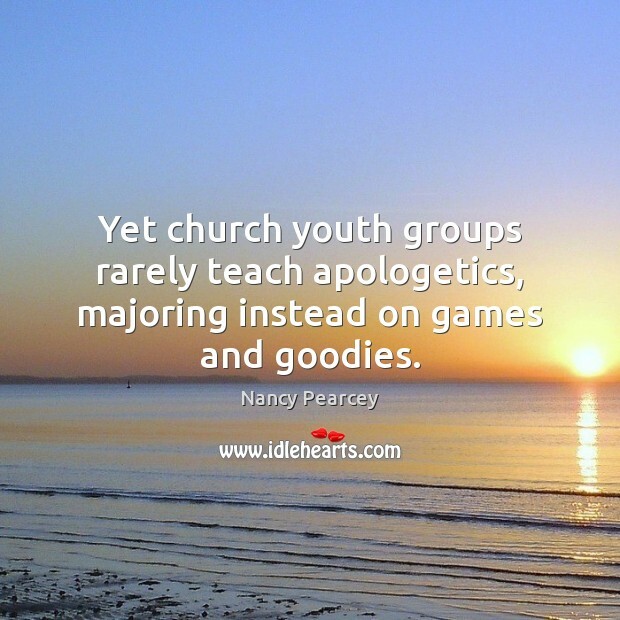 Yet church youth groups rarely teach apologetics, majoring instead on games and goodies. 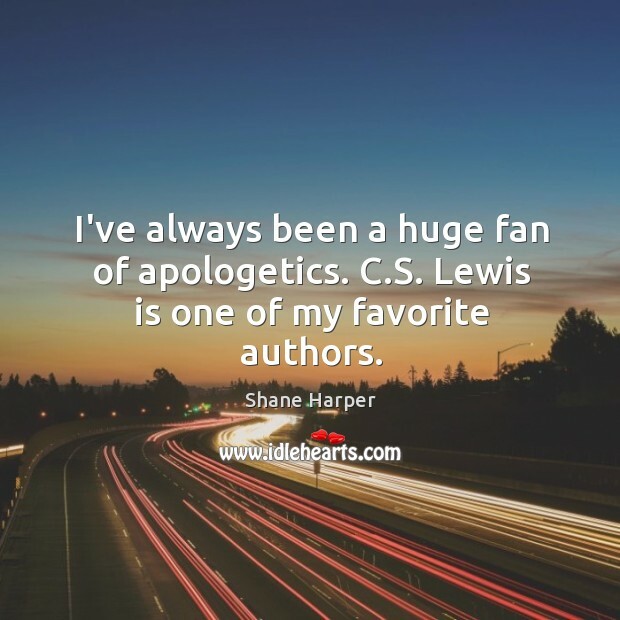 For me, apologetics proved to be the turning point of my life and eternity. 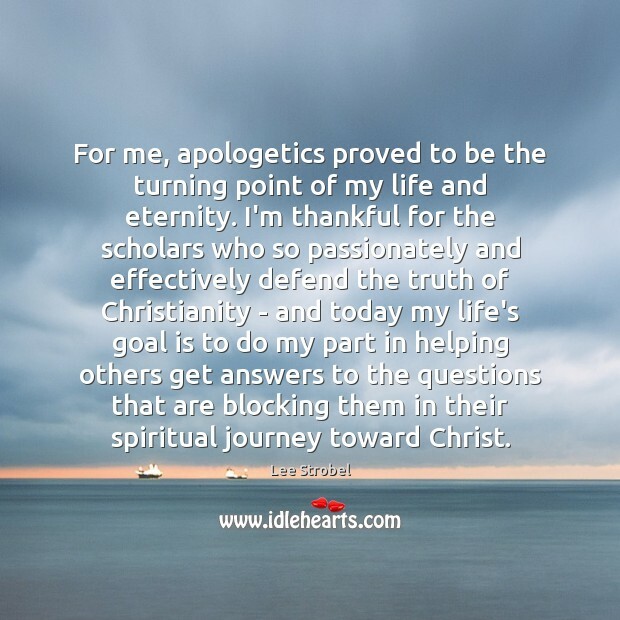 I'm thankful for the scholars who so passionately and effectively defend the truth of Christianity - and today my life's goal is to do my part in helping others get answers to the questions that are blocking them in their spiritual journey toward Christ. 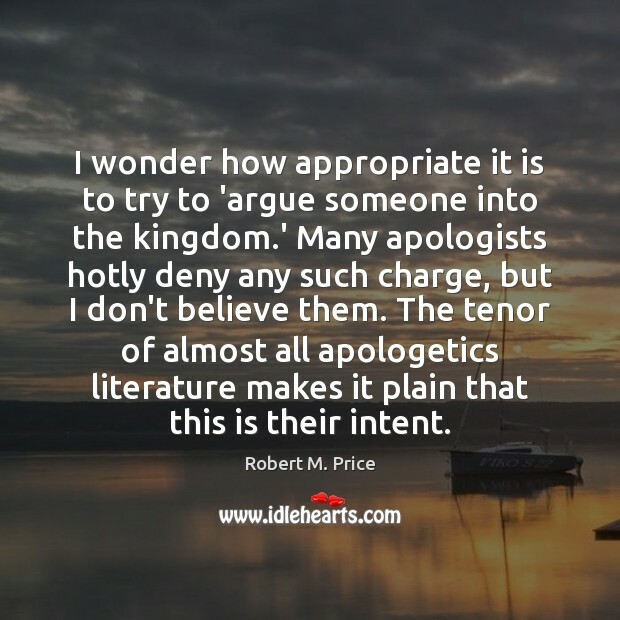 I wonder how appropriate it is to try to 'argue someone into the kingdom.' Many apologists hotly deny any such charge, but I don't believe them. 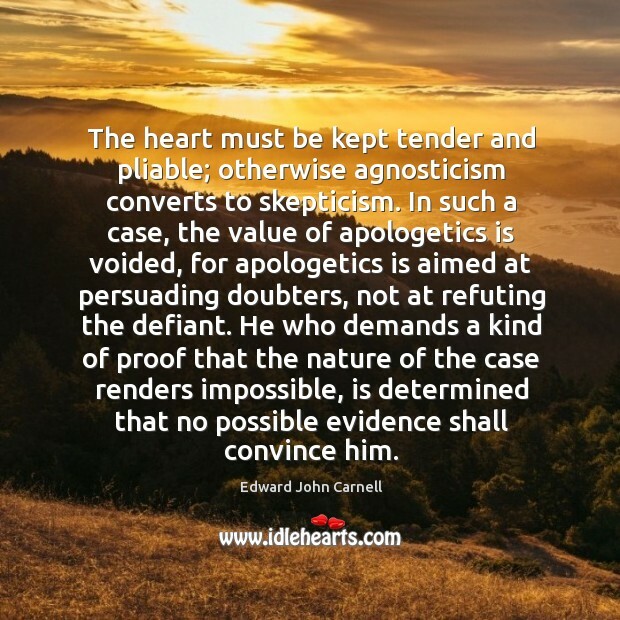 The tenor of almost all apologetics literature makes it plain that this is their intent. 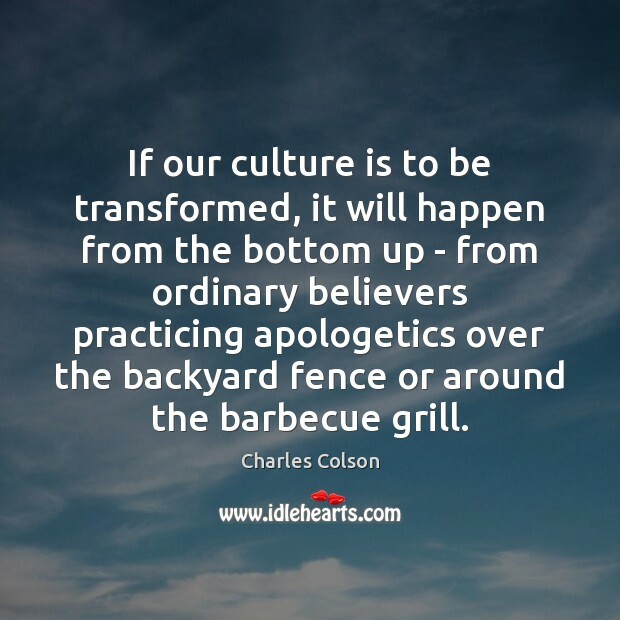 If our culture is to be transformed, it will happen from the bottom up - from ordinary believers practicing apologetics over the backyard fence or around the barbecue grill. 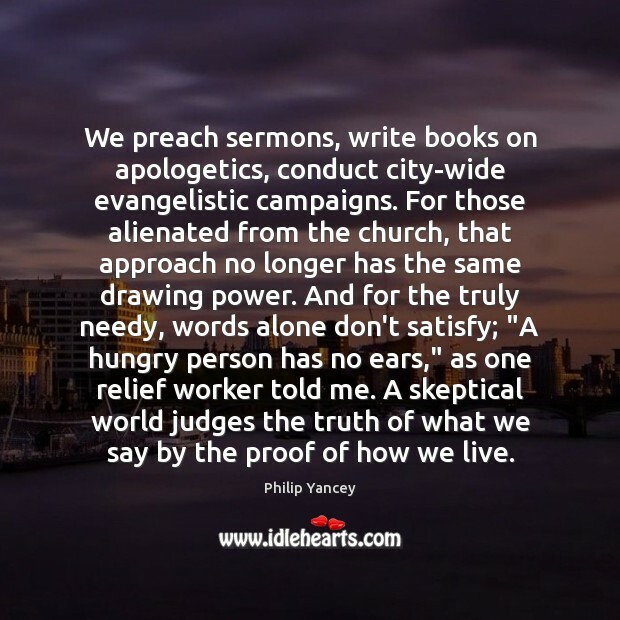 We preach sermons, write books on apologetics, conduct city-wide evangelistic campaigns. For those alienated from the church, that approach no longer has the same drawing power. And for the truly needy, words alone don't satisfy; "A hungry person has no ears," as one relief worker told me. A skeptical world judges the truth of what we say by the proof of how we live. 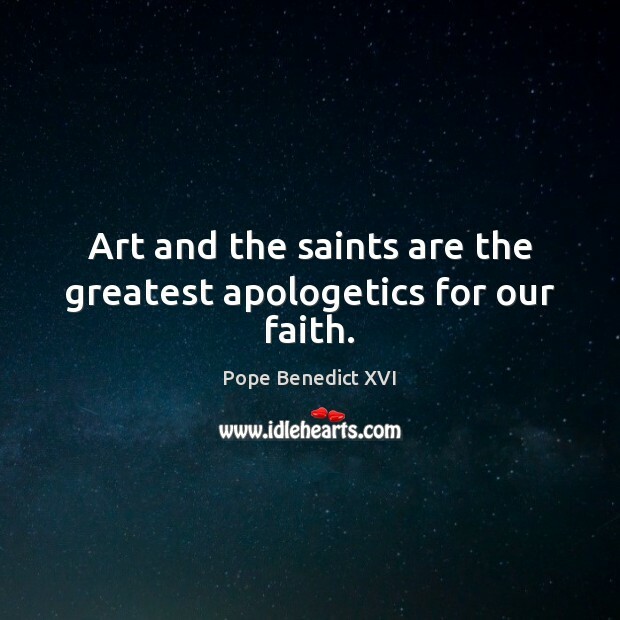 Art and the saints are the greatest apologetics for our faith. 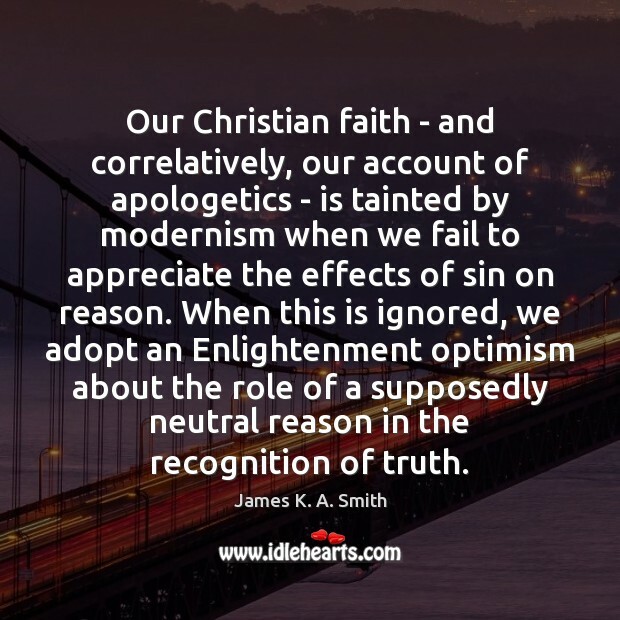 Our Christian faith - and correlatively, our account of apologetics - is tainted by modernism when we fail to appreciate the effects of sin on reason. When this is ignored, we adopt an Enlightenment optimism about the role of a supposedly neutral reason in the recognition of truth. 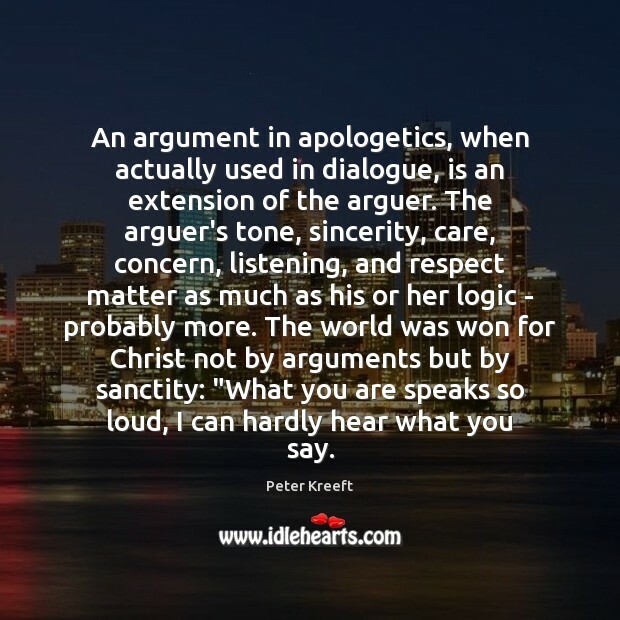 An argument in apologetics, when actually used in dialogue, is an extension of the arguer. The arguer's tone, sincerity, care, concern, listening, and respect matter as much as his or her logic - probably more. The world was won for Christ not by arguments but by sanctity: "What you are speaks so loud, I can hardly hear what you say. 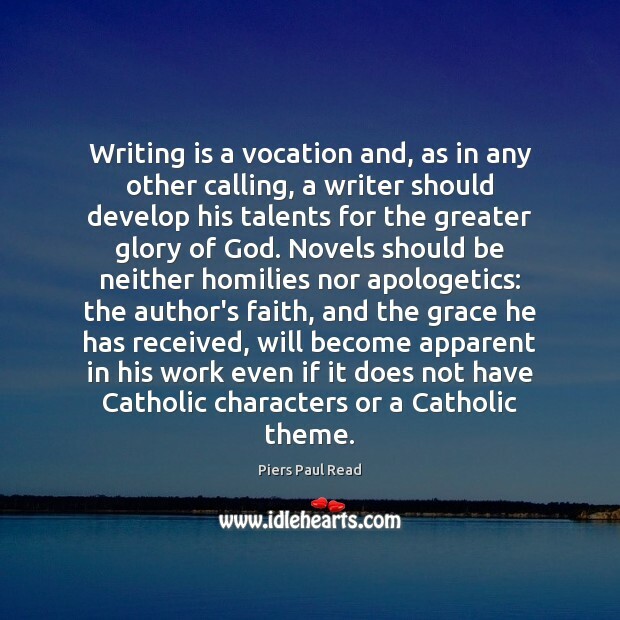 Writing is a vocation and, as in any other calling, a writer should develop his talents for the greater glory of God. Novels should be neither homilies nor apologetics: the author's faith, and the grace he has received, will become apparent in his work even if it does not have Catholic characters or a Catholic theme. 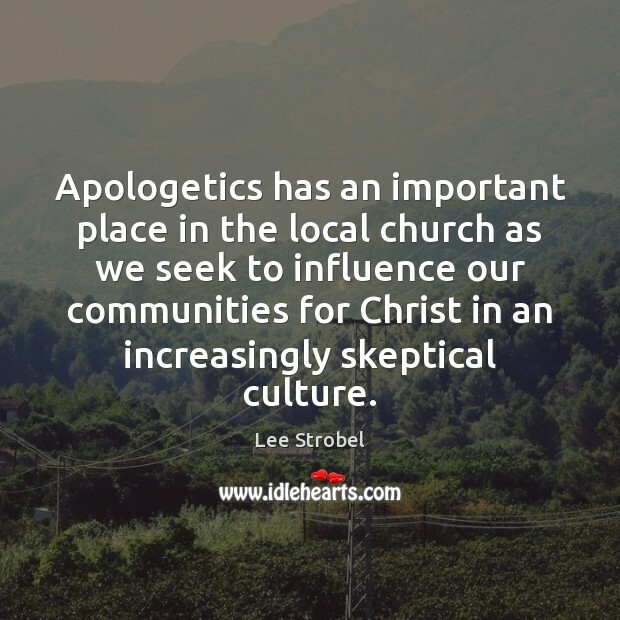 Apologetics has an important place in the local church as we seek to influence our communities for Christ in an increasingly skeptical culture. 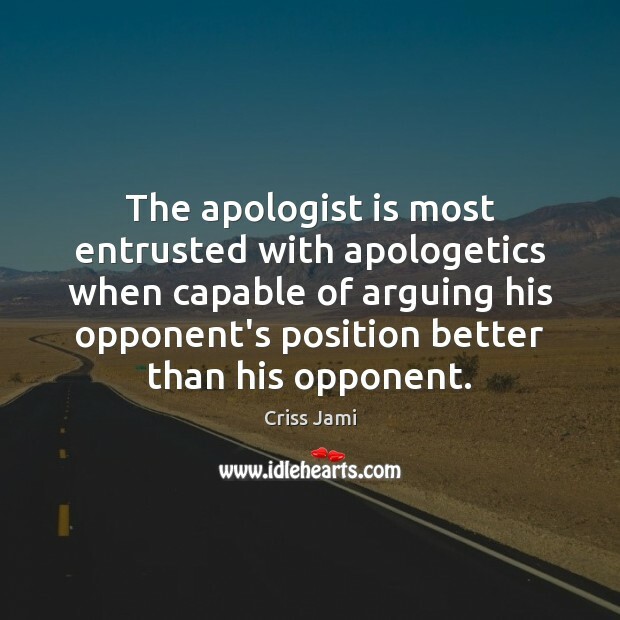 The apologist is most entrusted with apologetics when capable of arguing his opponent's position better than his opponent. 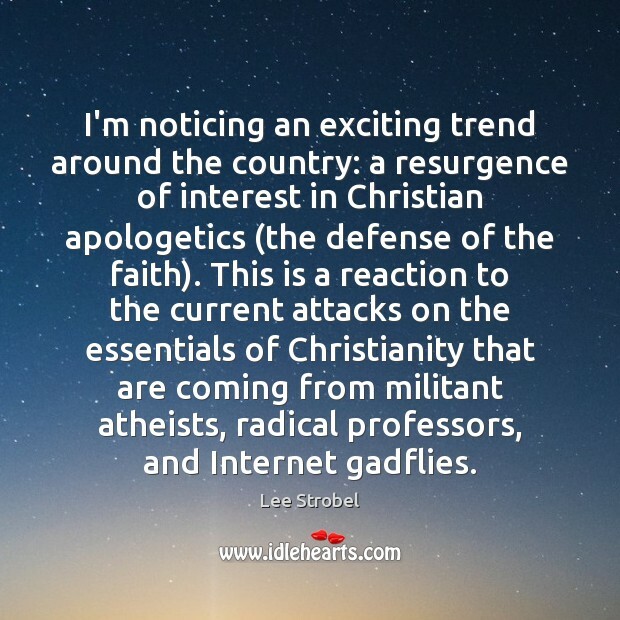 I'm noticing an exciting trend around the country: a resurgence of interest in Christian apologetics (the defense of the faith). This is a reaction to the current attacks on the essentials of Christianity that are coming from militant atheists, radical professors, and Internet gadflies. You mark my words: Whenever a cult attacks Christianity, the first place they're going to go is they're going to attack the deity of our Lord and Savior Jesus Christ; is that not true? They are going to attack His deity. Throughout 2000 years of Christian history, we have had to build walls to keep them out. We have had to fight, we have had to amass arms, we have had to do apologetics, we have had to do it all. It is our purpose and our responsibility to proclaim that Jesus Christ is God. I've always been a huge fan of apologetics. C.S. Lewis is one of my favorite authors.